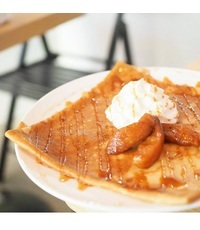 "So far the best crepes restaurant I have tried ..."
InstaCrêpes is a popular catering company in Hongkong that serves mouth-watering crepes that is much loved by their customers. 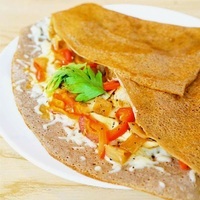 Their mission is to serve savoury galettes and sweet crepes made from gluten free buckwheat flour. 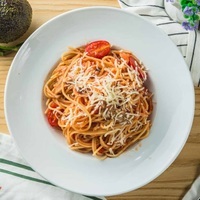 InstaCrepes Catering uses high quality and fresh ingredients for their dishes and is also one of the top caterers in HongKong. InstaCrêpes Catering believes that mouth-watering food should be the highlight for any occasion. They also place a strong emphasis on food hygiene, especially during food preparation. InstaCrêpes's catering menu features bento boxes and sharing platters perfect for your office lunches, client meetings seminars and any events. They're sure to be a favourite at your next event or party, so make sure to treat your guests to InstaCrêpes catering. InstaCrêpes Catering also offers various meal options for their clients based on their budget, volume and delivery time. 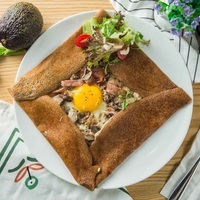 Some popular dishes on the InstaCrêpes catering menu include their Scorff Galette, Strawberry Bite Crêpe, and Savory Galette Live Station. 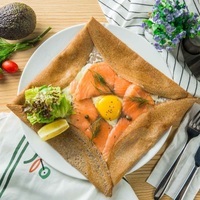 Scorff Galette menu includes an Emmental Cheese, Smoked Salmon, Egg, Onions, Capers, Lemon and Salad., while their Strawberry Bite Crêpe is a Fresh Banana, Strawberry, Ice Cream, Whipped Cream, Raspberry Sauce, Icing Sugar. and Savory Galette Live Station is a Make your own savory galettes with this live station! . With our experienced chefs and passionate team, you will definitely be satisfied with our menu and services. Looking to get InstaCrêpes delivered to you? InstaCrêpes delivery is available for Hong Kong Island, Kowloon, New Territories. Make sure to check their schedule for delivery times, which is usually Mon - Sun 11:30am - 11:00pm and do note that their menu requires 1 days' notice for placing orders, so don't be disappointed! 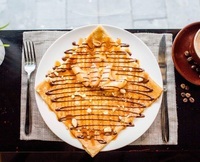 Thanks to Caterspot, you can have InstaCrêpes to cater to your needs and preference. You can simply place your order via our website. Alternatively, you can also call our hotline. Our friendly staff will be pleased to assist you in your booking or any inquiry. WIth Caterspot, we provide a seamless experience and convenience to our clients: once you have placed your order, you can count on us to deliver mouth-watering , fresh InstaCrêpes catering menus to your location.